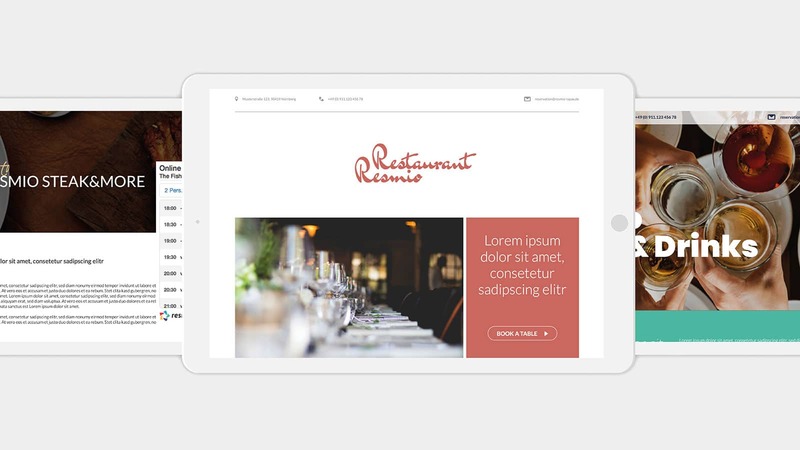 Using the software by resmio, you can easily create your own home page for your restaurant in just a few minutes. You simply haven’t had the time, budget, or experience to develop your own website? No problem! You can create a website via resmio free of charge. After registration, just update all the information on your profile, upload the pictures you want, and add your menu. Done! Currently, you can choose from three available designs for your website. We are currently working on additional designs and elements that will make your site even better. Sign up for our newsletter so we can keep you current on all new developments. 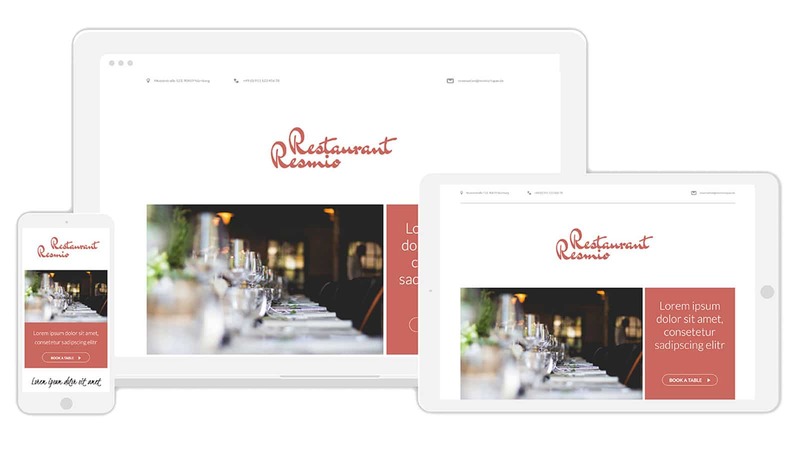 The reservation widget by resmio is automatically integrated into your site in a prominent location so that guests can check availability directly via your website and reserve a table. Try out the widget yourself by making a test reservation!